Last week I gave you the first half of everything I know about participating in drug studies for money. Today I’ll tell you the rest. is a free service designed to help people find clinical trials that are relevant to their needs. CISCRP staff will work with you to understand your options and our staff will help you find local clinical trials in your community, or as far as you would be comfortable traveling. is a database of privately and publicly funded clinical studies conducted around the world. PRA Health Sciences has locations in Lenexa, KS (metro Kansas City area) and Salt Lake City, UT. Johnson County Clin-Trials is located in Lenexa, KS (metro Kansas City area). Vince & Associates is located in Overland Park, KS (metro Kansas City area). IQVIA is located in the metro Kansas City area and can be reached via telephone (913-894-5533 or 800-292-5533 [Monday-Friday, 8:30 A.M. to 4:30 P.M. CST]) or email (vps.volunteer@IQVIA.com). The Center for Pharmaceutical Research is located in Kansas City, MO. PPD has clinical research units in Austin, TX and Las Vegas, NV. Celerion has locations in Lincoln, NE; Tempe, AZ (metro Phoenix area); and Belfast, Northern Ireland UK . The University of Arizona Health Sciences recruits healthy volunteers in the Tucson and Phoenix areas. The Mayo Clinic also recruits healthy volunteers for clinical trials. Most trials seem to be held in Rochester, MN, but I also saw listings for the metro Phoenix, AZ area, Jacksonville, FL, and La Crosse, WI. Pfizer is seeking healthy volunteers for clinical trails across the United States. Parexel conducts clinical studies in Baltimore, MD; Los Angels, CA; London, England, and Berlin, Germany. If I didn’t include a study facility in the area where you are or where you’re planning to be, try putting “clinical trials healthy volunteers” and the big city closest to your desired location in a search engine. After you find a study facility in the area where you are or an area to which you’re willing to travel, read the listings of upcoming studies carefully to see which ones you qualify for. Don’t waste your time applying for a study if you don’t meet all the qualifications. 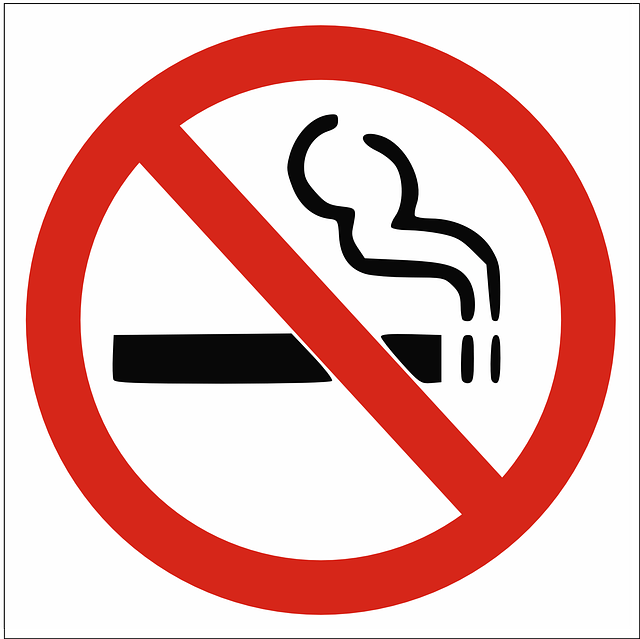 The requirements are pretty much set in stone, so if (for example) you’re a 26 year-old female who smokes, you’re not going to get into a study for male nonsmokers who are 35-65. Once you find a study for which you qualify, take a look at how long it lasts. If you can’t sit in one place for more than a week, you might not want to sign up for a three week study. If you have to leave the area on December 19 to get to your mom’s house by Christmas Eve, don’t get into a study that lasts until December 22. If you’ve determined you’re a good fit for the study criteria given, you can handle the length of the study, the dates work for you, and you’re ok with the number of follow-up visits required, the next step is to contact a recruiter via telephone or by submitting information online and having a recruiter call you. If you are calling the recruiter, be sure to have the study number handy. If you don’t give the study number and just try to describe the study, you and the recruiter may end up talking about different things. If there are still openings in the study you are interested in, the recruiter will conduct a phone screening with you. The recruiter will ask you questions about your general health; your medical history; your current and past drug use, including illegal drugs and prescription and over-the-counter medications, as well as vitamins and supplements; alcohol use; dietary restrictions, height; weight; and birth control methods, among other things I’ve probably forgotten since the last time I went through a phone screening. If you still qualify to participate after you answer all these (highly personal) questions, the recruiter will set up an appointment for an in-person screening. The night before your screening visit, you definitely want to drink plenty of water so your blood will flow easily when it’s time for your blood draw. Avoiding fatty and fried foods for several days before your screening will also help with the blood draws. The recruiter should tell you how many days prior to the visit you should avoid alcohol; caffeine; over-the counter medications, vitamins, and supplements; exercise; and specific foods (such as poppy seeds or grapefruit). The recruiter should also tell you if you need to fast before your screening and if you do, what time you should start your fast. Follow these instructions to the letter or you may find yourself disqualified from the study. Arrive at the screening center before the specified time so you’re not rushing and frazzled. After you sign in, you will be given a lot of paperwork to fill out; some of the questions will be the same as what the recruiter asked during the phone screening. You will also be given a detailed consent form to read and sign. You should be given the opportunity to ask questions about the clinical trial, and you should have all your questions answered to your satisfaction. After you turn in your paperwork, an onsite recruiter will read over it. If you still qualify for the trial, someone will measure your height and weight and determine your BMI (Body Mass Index). Your vital signs (temperature, blood pressure, respiration rate) will be measured and noted. At some point you will provide a urine sample and have blood drawn. A doctor will examine you to make sure you are healthy. The waiting game begins when the screening appointment ends. Depending on when you screen, you may have to wait a week or two to find out if you have made it into the study. You may be called back in for a follow-up screening if any of your test results are on the edge of normal, so don’t go too far away from the screening center while you wait for your results. While you’re going through your screening, it pays to be friendly and polite. The study sponsor screens more people than they need for the trail so they’re sure to have enough participants. If everyone qualifies physically, people will be cut from the study based on other criteria. If all physical aspects are equal, folks who are uncooperative or rude to the staff are more likely to be cut from the study. If you do make it into the study, you will be called and told when to report to the study facility to check in. At your screening, you will have been given a list of what you are allowed to bring and what items are prohibited. Don’t even bother bringing prohibited items. Your bags will be checked, and any prohibited items will be confiscated. (You’ll get them back when you leave.) Prohibited items in the studies I participated in included food, gum, candy, over-the-counter medications, hygiene products with certain ingredients, and weapons of any kind. Be sure to get to study facility on time for your check in. Being one minute late can get you cut from the trial. Once you arrive for check in, you’re going to have to fill out a bunch of the same paperwork all over again. Just be patient and fill in the blanks. You’ll be weighed and your vital signs measured. You’ll provide urine and blood samples all over again. A doctor will examine you to make sure all is still well. You’ll go through the screening again because the study sponsor wants to confirm that you aren’t sick and haven’t been smoking or drinking alcohol or ingesting other chemicals you were told not to touch. If you successfully make it over all these hurdles, you’ll be told you’re in the study, but don’t relax just yet. Each group of participants usually includes a couple of alternates in the event someone turns out to be sick in the morning or chickens out before they take the study medication. You’re not really in until you take the study medication, and even then, if you experience a serious adverse event (“side effect” in common terms) you might be dropped from the study for your own well-being. In my experience, even if participants are dropped from a trail early, they are paid for each night they spent in the study facility. To be a successful drug study participant, be where you are supposed to be when you are supposed to be there. If you have a blood draw at 9:00, don’t make the study nurse have to drag you away from the activity room for it. If your vitals are to be checked at 23:00 (11pm for folks not accustomed to military time), be at your bedside and ready to go ten minutes prior. You should be given a chronology telling you exactly when every activity of the study will occur. Keep your chronology handy and live by it. There’s a lot of down time in a drug study, so be prepared to entertain yourself. In the facilities I’ve stayed in, each bed had its own television, so volunteers could spend all day and most of the night (until mandatory lights-out) watching cable TV. Most facilities do have some public access computers, but the speed of the internet connection might be questionable. I always brought my own laptop, plenty of books, supplies for writing and sending letters and materials for making jewelry. Cellphones make it easy to catch up on all the calls you’ve been needing to make. So that’s it, everything I remember about getting into a drug study. Do you have questions about something I didn’t cover? Just ask in the comments section below and I’ll do my best to answer. Images courtesy of https://www.pexels.com/photo/blue-and-silver-stetoscope-40568/, https://www.pexels.com/photo/antique-close-up-cord-dial-209695/, https://www.pexels.com/photo/person-massaging-man-while-lying-on-bed-1321728/, and https://www.pexels.com/photo/black-and-white-blood-pressure-kit-220723/.